Second part of grate = gasification zone, here material loses mass and converts to the gas. The temperature of the ash is controlled by the primary air and does not exceed 700 ° C.
First part of grate = drying zone, the fuel is moved , loses moisture and starts to convert into embers. Primary air and hydraulic moving grate mechanism. through a fire protection zone. The controlled amount of tertiary air is turbulently mixed with the produced gas and provides optimal mixture for combustion with temperature between 950-1100°C. Exit from the burner, this part enters the body of the boiler. the gases into the burning zone inside the burner. Third part of grate = final gasification zone with outgoing ash transport screw. Due to the construction of the grate and controlled gasification, ash is free-flowing without slag. 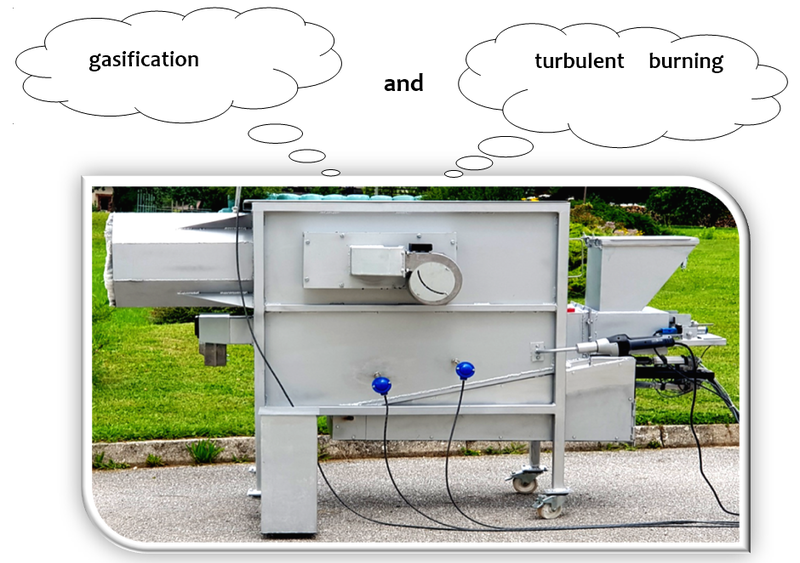 The burner has more in-line, rapidly replaceable insulation with a temperature resistance up to 1450 ° C.
3 different airs: primary, secondary and tertiary , coming through nozzles with and regulated by fans. Automatic hydraulic moving elements, and automatic ash cleaning with pushing screw. 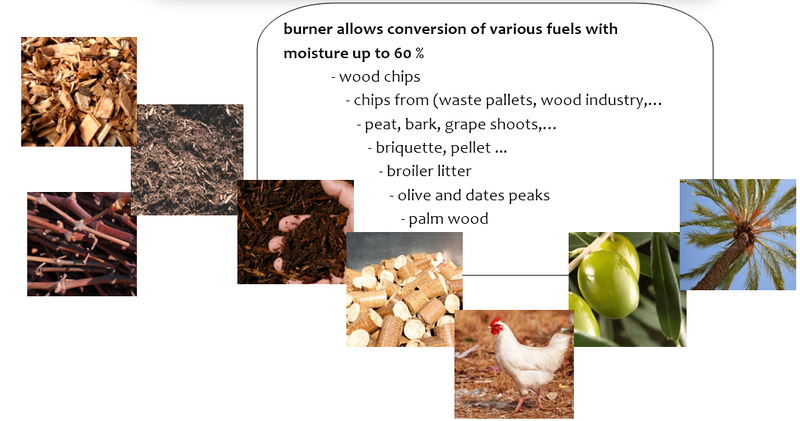 Modulate output Generally biomass burner has best performance with full power, the best system configuration is using buffer tank. 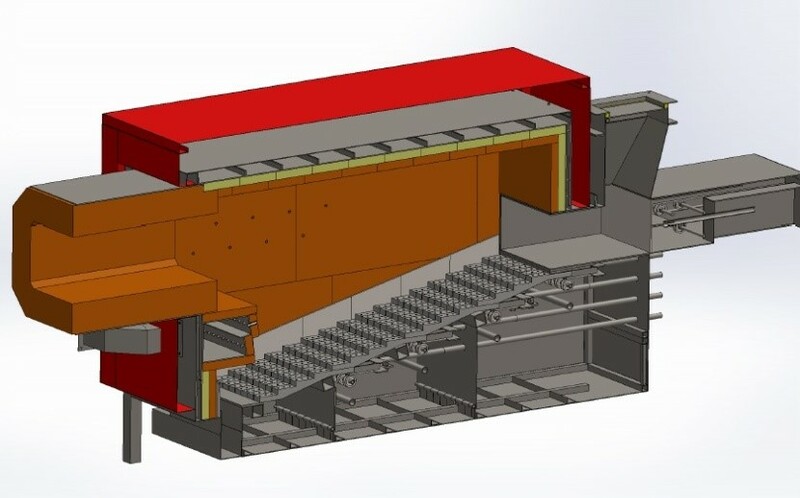 Burner size is in the range 100-1500 kW.